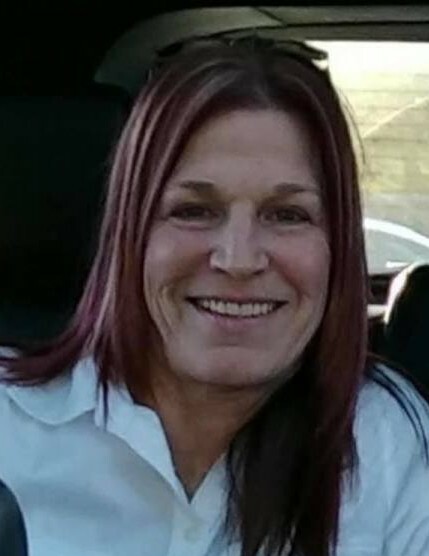 Roxann M. Chestnut, 58, of Chester, passed away, Thursday, March 21, 2019, following a courageous battle with cancer. Born, August 5, 1960, in East Liverpool, she is a daughter of Shirley Davis McIlvain of Calcutta and (Step Father) Jack McIlvain, and, the late Thomas Hubbard. Roxann was also preceded in death by her sister, Terry Frye, and nephews, Brucie Pierce and Shawn Hubbard. She was a member of the Victory Church in Cranberry, PA.
Roxann was formerly employed at the East Liverpool City Hospital, where she worked in the Dietary Department. Prior to her illness, she enjoyed going to the FLX Fitness Center and she developed some wonderful friendships there. She enjoyed spending time with her family and will be deeply missed by them. She is survived by her fiancé, John Brown of Chester; daughters, Melissa Smith and Tracy Byers and her husband James of East Liverpool; brothers, Thomas Hubbard Jr. of Negley, OH., Jimmy McIlvain of Lisbon and Raymond Hubbard of Rogers, OH. ; sister, Jackie Sue Pierce and her husband Bruce of Rogers; grandchildren, Austin Smith, Taylor Rockey, Baylee Smith, Colin Dailey, Isaac Dailey and Ava Wesney. Pastor Dirk Hall will celebrate Roxann’s life, Tuesday, March 26, 2019, at 11:00 AM, at the Arner Funeral Chapel in Chester. Friends may visit with the family, Monday, March 25 from 2-4:00 PM and 6-8:00 PM.